Beer passports are a popular marketing and tourism tool for communities with high concentrations of breweries. The idea is simple: Visit breweries and fill your passport book with stamps, which can sometimes be redeemed for merchandise or discounts. Cities including Seattle and Toronto also have their own food passports. 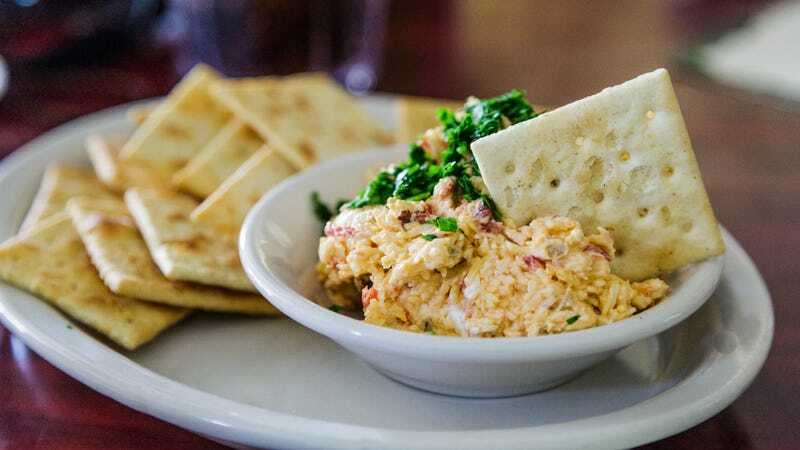 But Columbia, South Carolina, can likely claim the title of the first and only city with a pimento cheese passport. Participating restaurants include Mr. Friendly’s New Southern Cafe, where diners can order bacon-wrapped filet mignon with a side of “French Quarter” pimento cheese; Solstice Kitchen, serving cornmeal fried green tomatoes topped with smoked cheddar pimento cheese and candied bacon; and Terra, which offers a pimento cheeseburger pizza. If you don’t have your Columbia vacation booked yet, don’t fret. We’ve got you.